Want a way to have fun while competing and doing good for your community? 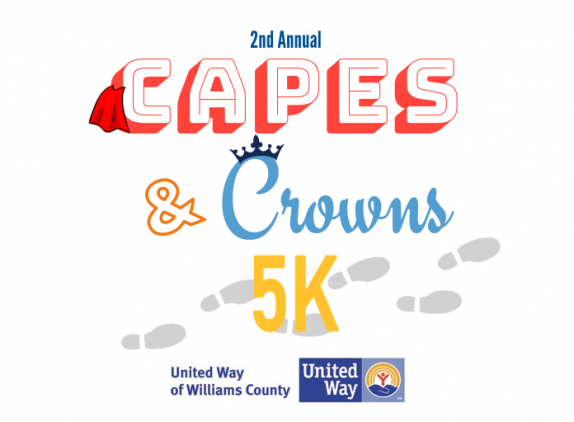 The Capes and Crowns 5K is the perfect event for you! This event will be held October 27th at 8:30 am. Your registration fee will include a tee shirt and a cape. Winners will receive crowns. Grab a friend or two and join us for this very special event!